Visions of the Now, an international festival and congress on the subjects of art and technology, will take place at Fylkingen in Stockholm on May 24–26, 2013. New values are being created as a consequence of the rapid pace of technological progress. Through the filters of art, technology and the future, we will investigate where the ‘now’ is situated, while focusing on the impact of technology on humanity, society and artistic practice. Visions of the Now is a reconsideration of the 1966 festival and congress Visioner av Nuet, which was initiated by Fylkingen and held at Tekniska Museet in Stockholm. This updated version takes place nearly half a century later, in a world that is fully immersed in the technology that in 1966 was still called ‘the new’. What are our visions of the present — now, and what do we imagine for the future? This occasion brings together a group of international artists, musicians, theorists and scientists to perform real-time research on the now, in lectures, panels and open discussions under the themes: Technology, Values, Image, Music, Language and Environment. The festival will also manifest the interplay between art and technology — at this exact moment in time — with new art and music performances, sound pieces, installations and screenings. We hope to see you at Fylkingen on May 24! Lecture: 9 Evenings: Theatre & Engineering and the beginnings of E.A.T. Screening: 16 mm film with sound. 11:00 Doors open. Waffles and coffee. Panel: Astrida Neimanis, Cecilia Åsberg, Gry Worre Hallberg and Laurel Ptak. PANEL : Jacob Gaboury, Jennifer A. González, Lars-Gunnar Bodin, Kristin Lucas. Altisonans by Karl-Birger Blomdahl (Premiered at Visioner av Nuet, 1966) — Screening: Image-Opera with Sound. Panel: Lars-Gunnar Bodin, Tyler Coburn, Carl-Johan Rosén, Matt Dryhurst. Lecture: Visions of the Now — and Then. Panel: Holly Herndon, Luke Fischbeck, Jacob Kirkegaard, Sten Ternström, Sanne Krogh Groth, Johan Siri Landgren. Panel: Natalie Jeremijenko, Magnus Larsson, Catharina Gabrielsson. 32013 Years of Aurora Evolution, mixed media installation by artist Katja Aglert. C.A.R. (Call and Response), a hack concept designed to identify & address real problems in the arts, especially created for the festival. The 2 day hack will be hosted at EMS studios and presented at Visions of the Now on Sunday the 26th. Glimpses of our Knowledge was a slide show installation, shown continuously at Visioner av Nuet in 1966, and consisted of ‘images of space, technical advancements, examples of scientific illustrations from different times, different aspects of our knowledge — from old scripts and early hypotheses about the planetary system — to modern photographs of stars and of elementary particles, obtained by CERN’. Visions of the Now presents an updated and reconsidered 2013 version of this slide show — a physical archive of these glimpses of the Now, no matter the source. Images created or selected by: João Enxuto & Erica Love, Leah Beeferman, Jacob Gaboury, Hannah Heilmann, Benjamin Fallon, Phillip Stearns, Anna Lundh + more. Lament IV: Sand and Silt, video with sound by Phillip Stearns. Moving entrances, taking out doors and modifying paths: YKR/JZ alte	rs the space to initiate the process of Fylkingens upcoming reconstruction. 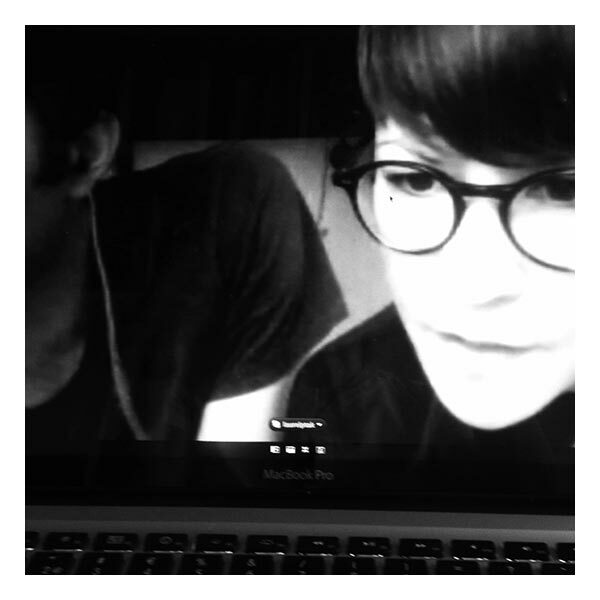 ETC Mix (Summer of 2011), video with sound by Kristin Lucas. Computer Music in Historical Order, 1959 — to the present (1966) Selected by John R. Pierce for Visioner av Nuet, 1966. Anna Lundh (SE) is a Swedish artist, based in Stockholm and New York. Lundh’s work investigates cultural phenomena and social agreements, time, language and technology, and takes the form of video, installations, web-based projects, text and performance. She is the initiator and organizer of Visions of the Now. The Tale of the Big Computer, Friday the 24th. An investigation into a future vision, computers, opera, composers, scientists, pseudonyms, a sudden death, art, technology and the origins of Visions of the Now. Astrida Neimanis (CAN) is a feminist writer and teacher affiliated with the Posthumanities Hub at Linköping University. Her work on embodiment, feminism and posthuman imaginaries has been published in both academic and creative arts journals, and her co-edited book Thinking with Water will be published later this year. She currently lives in Canada. 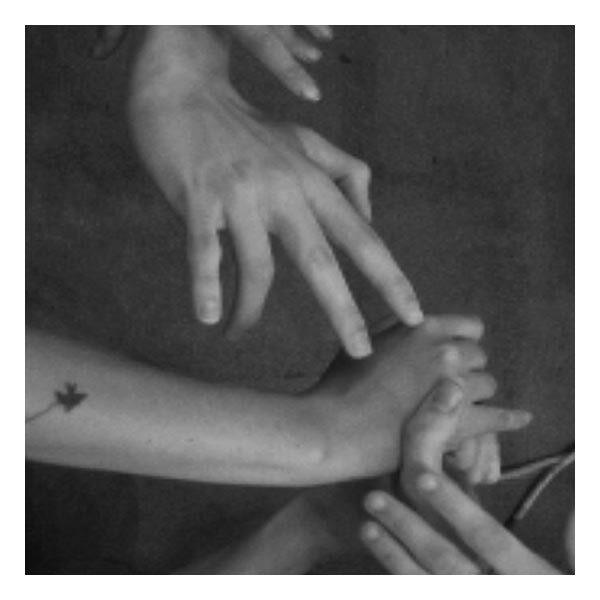 Bodies of the Now: Feminist Values in Posthuman Times, Saturday the 25th, with Cecilia Åsberg. We are of a fast changing world, where bodies are not what they used to be. In this post-conventional dialogue, bodies of water will meet organs without bodies; Alzheimer’s bodies share a lab bench with terrorist bodies, while climate bodies stir the air, and alien bodies haunt our dreams. Old and new feminist takes on our posthuman condition will turn up familiar monsters, surprising affinities, and helpful hints for living up to the promise of bodies of the now. What bodily matter(s) accrue value, and why? What are we breaking down, and what are we building up again? 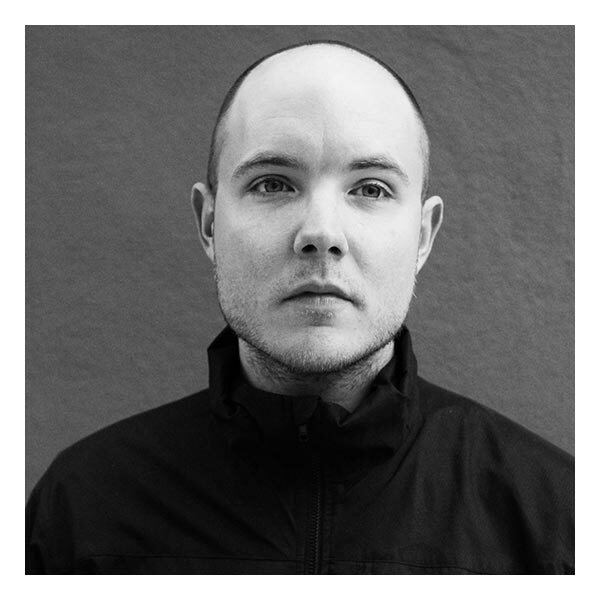 Carl-Johan Rosén (SE) works with digital beings. He investigates what it means to exist in the world as a digital body and as a software process experiencing the world through electronic circuits. Work methods are synthesized from arts, engineering and academia, and the outcome varyingly presented as artworks, software and text. 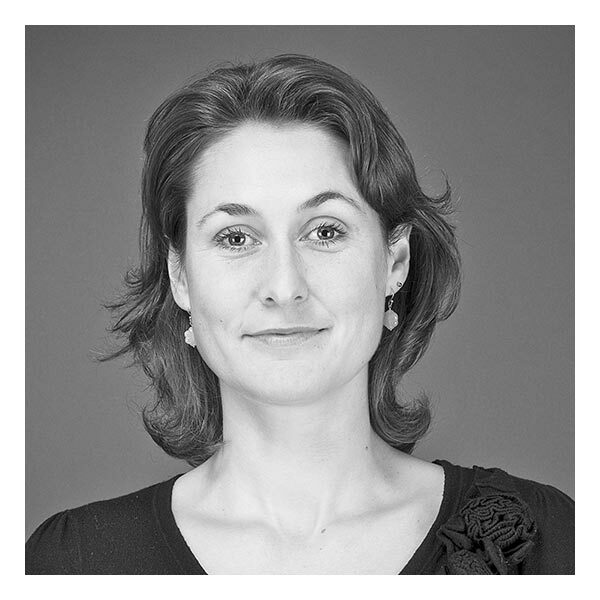 Catharina Gabrielsson (SE) is Assistant Professor in Urban Theory at the School of Architecture KTH where she teaches architecture & urban theory and urban economics. Her research interests relate to the relationship between architecture and the city with a special focus on the indeterminacy inherent to change, set against architectural claims of stability, authorship and permanence. Parts of this research, mainly conducted in London and Istanbul, is currently turned into a book tentatively entitled What If Architecture: Rethinking the Project Through Findings in the Field. 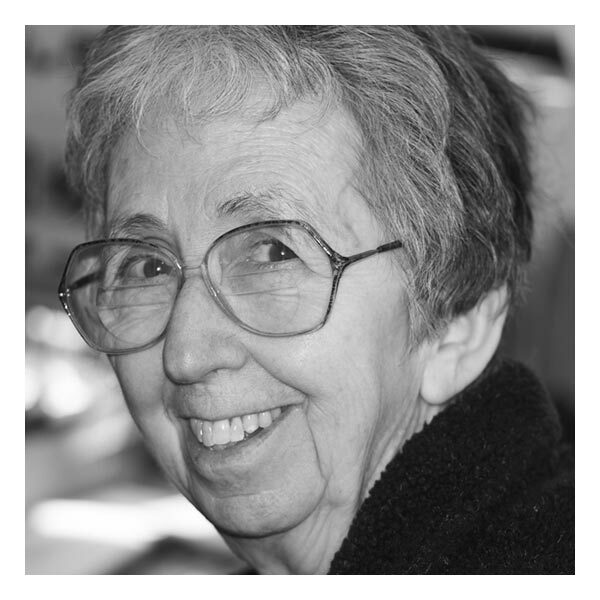 Her current research on The Architecture of Deregulations: Postmodernism and Politics in Swedish Building 1975–1995, centres on how the so-called postmodern shift refers to the dismantling of the Welfare state and coeval neoliberal transformations. Panel participant, Environment, Sunday the 26th. Cecilia Åsberg (SE), PhD, Docent and Linköping University Associate Professor, works in the scholarly intersections of where transdisciplinary gender studies meet up — critically and creatively - with the dynamic materialisms of feminist theory, body studies, cultural studies, human-animal studies, science and technology studies, posthuman ethics, medical, environmental and societal concerns. One of the co-directors of a Swedish centre for Gender Excellence (GEXcel International Collegium), she is also the founding director of the research platform The Posthumanities Hub. Bodies of the Now: Feminist Values in Posthuman Times, Saturday the 25th, with Astrida Neimanis. Goodiepal (DK) Gæoudjiparl van den Dobbelsteen, whose real name is Parl Kristian Bjørn Vester, is a controversial Danish/Faroese musician/composer. The eccentric and self-made Goodiepal has influenced the course of modern music through radical excursions into computer technology and media art. Until recently he has been employed as a teacher at DIEM (Danish Institute for Electro-acoustic Music) at the Royal Academy of Music in Aarhus, Denmark. Goodiepal declared intellectual war against the stupidity in modern computer music and media art, which is to say against The Royal Academy of Music, when he quit the job in 2008. As per 2012 he lives somewhere in Europe and is married to the road. Goodiepal will bike to Stockholm in his velomobile called the Kommunal Klon Komputer 02, and will perform his concert on Saturday the 25th. 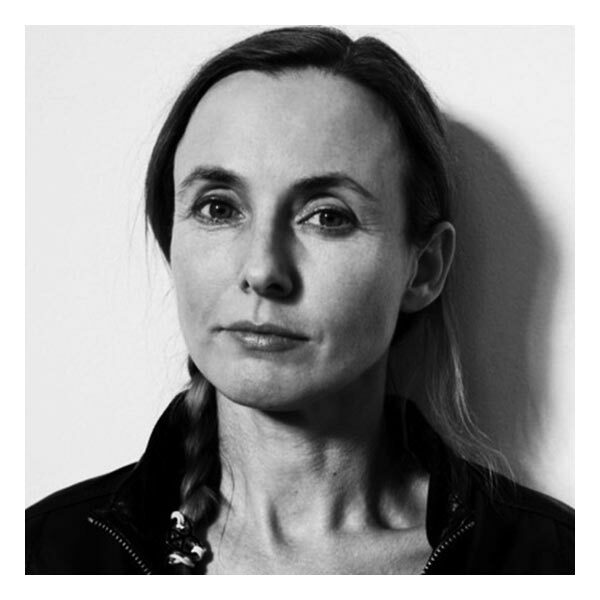 Gry Worre Hallberg (DK) is an artist and curator who operates in the intersection of performance art, research, activism and future studies. Currently works on the project The Sensuous Society: Beyond economic rationality — suggesting a sensuous mode of being in the world as the outset of a new paradigm going beyond economic rationality. She is the co-founder of a range of organizations and movements within the field of performance art applied in a series of different everyday-life contexts, not at least the streets, among them Fiction Pimps, Sisters Hope (ongoing project: Sisters Academy), Club de la Faye, Staging Transitions and The Poetic Revolution and a member of the global, urban Theatrum Mundi-network. 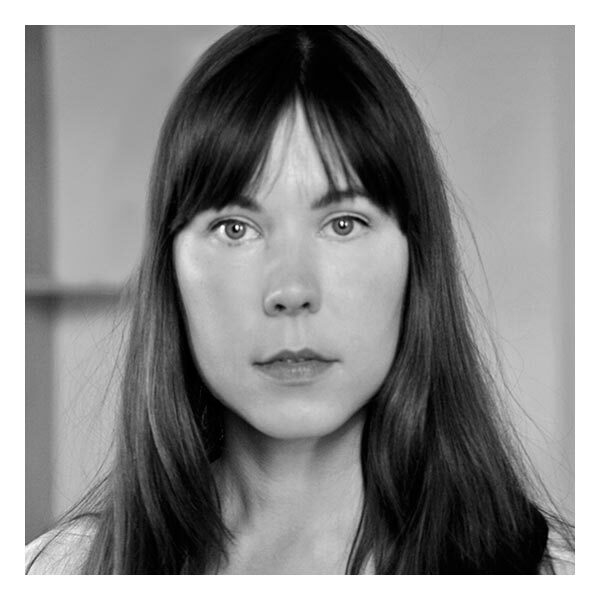 Besides her performance art-practice Gry has a MA in Theatre- and Performance Studies, with a minor in Cultural Economy and Aesthetic Leadership, and is also an Associate at Performance Design and HumTek, Roskilde University. She is currently the artistic director of the Dome of Visions. Ongoing projects: The Sensuous Society, Sisters Academy and In100Y. Sensuous Society, Saturday the 25th. In her talk, Gry Worre Hallberg draws from the aesthetic dimension as a source of inspiration to inform the dawning world: The Sensuous Society. Hannah Heilmann (DK) Hannah Heilmann is a Danish artist, who works with the Self, its abbreviations and prolongations into culture and technology. 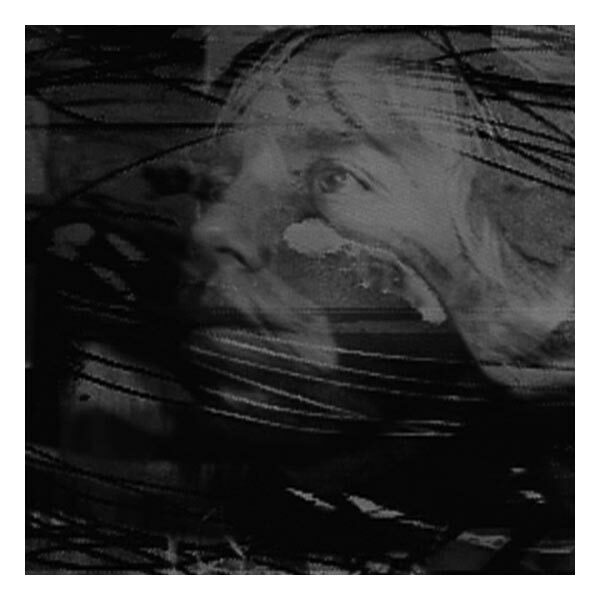 Working both solo and in collaborations Heilmann is a member of the collective consciousness Ingen Frygt, the group psychosis Party And Lost, as well as the artist run exhibition space Toves in Copenhagen. Currently she is developing a radio channel by the name General Booty of Work. It Wasn't Like That, It Was Like This, Saturday 25th. It Wasn't Like That, It Was Like This combines performance, installation and video manifesting the absence of the body and the space forsaken once you have entered the existence of one who has checked emails for 100 years, existing essentially in a past-in-the-future world. 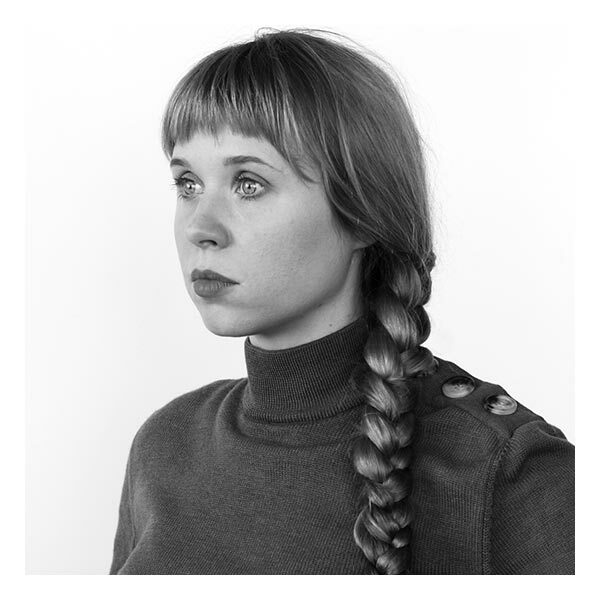 Holly Herndon (US) left her Tennessee home as a teenager to immerse herself in Berlin techno culture, eventually returning wide-minded to the States to pursue a Masters in Electronic Music at Mills College. While at Mills she earned the 2011 Elizabeth Mills Crothers award for best composer and developed Movement, her debut collection of material released November 2012 on RVNG Intl. 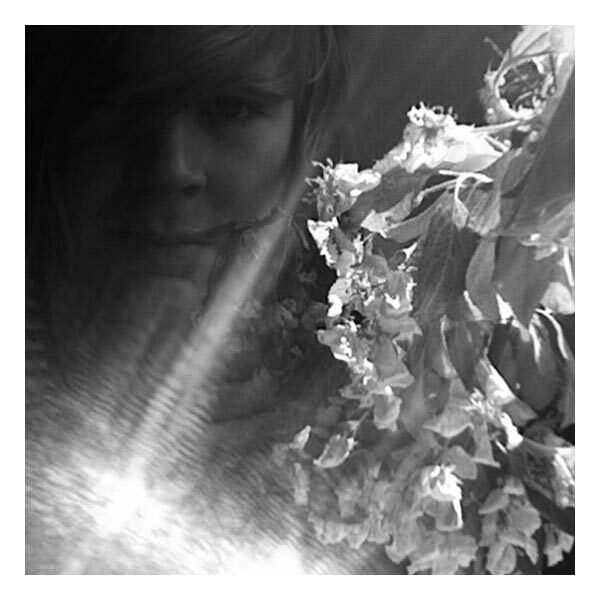 On Movement, Holly hybridizes her modern composition training and undying devotion to club music, using custom instruments and vocal processes developed in the visual programming language Max/MSP. Holly has collaborated with the Iranian philosopher Reza Negarestani, Hieroglyphic Being and Chicago footwork producer Jlin, and is currently a doctoral candidate in composition at Stanford University. Performs a special multi-channel music set on Saturday the 25th. Jacob Gaboury (US) is a Phd Candidate at the department of Media, Culture & Communication at New York University. His research interests include new and digital media, media history, art and technology, queer theory, and media archaeology. 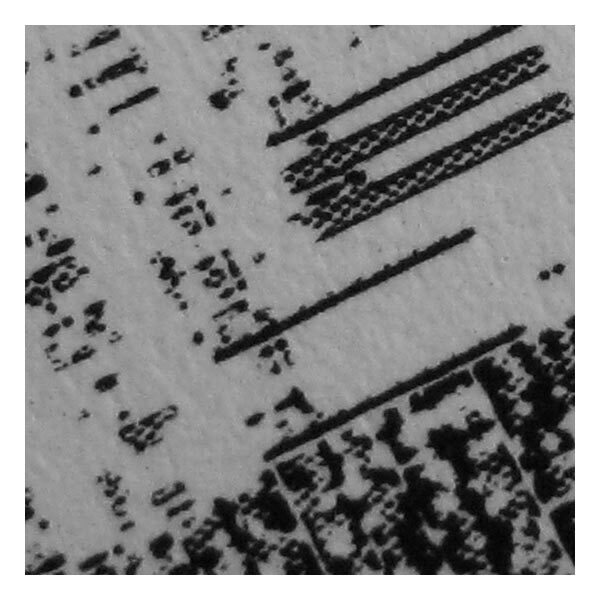 His dissertaion Image Objects: An Archaeology of Computer Graphics, investigates the early history of computer graphics and the role they play in the move toward new forms of simulation and object oriented design. Using a media archaeological approach the project looks to uncover this largely neglected history and in doing so describe a fundamental transformation in the way we understand and interface with technical objects. 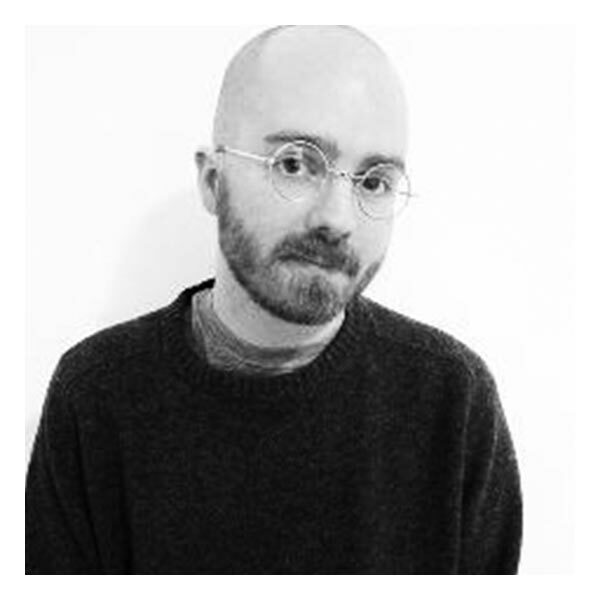 Gaboury is currently working as an instructor at New York University and as a staff writer for the art and technology organization Rhizome at the New Museum for Contemporary Art. Lecture: The Electronic Picture, Saturday the 25th. The talk explores the conflation of the digital image with physical objects, arguing that digitization is not limited to visual media forms. Rather, it is a process of simulation that structures a wide range of contemporary practices and has become the primary mode through which we reproduce our world. Jacob Kirkegaard (DK) is a Danish artist, whose works are focused on scientific and aesthetic aspects of sonic perception. He explores acoustic spaces and phenomena that usually remain imperceptible to the immediate ear. Kirkegaard's installations, compositions & photographs are created from within a variety of environments such as subterranean geyser vibrations, empty rooms in Chernobyl, a rotating TV tower, and even sounds from the human inner ear itself. Based in Berlin, Germany, Kirkegaard is a graduate of the Academy for Media Arts in Cologne. Since 1995, Kirkegaard has presented his works at galleries, museums, venues & conferences throughout the world. 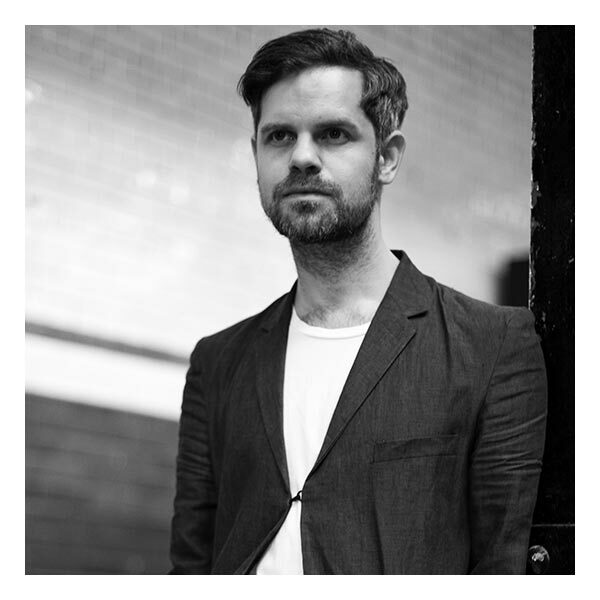 His sound works are primarily released by the British record label Touch and he is a member of the sound art collective freq_out. Performance: Labyrinthitis, on Sunday the 26th. Labyrinthitis relies on a principle employed both in medical science and musical practice: When two frequencies at a certain ratio are played into the ear, additional vibrations in the inner ear will produce a third frequency. This frequency is generated by the ear itself: a so-called “distortion product otoacoustic emission” (DPOAE), also referred to in musicology as ‘Tartini tone’. Jennifer A. González (US) writes about contemporary art with an emphasis on installation art, digital art and activist art. More specifically, she has focused on the representation of the human body and its relation to discourses of race and gender. In addition, Jennifer Gonzalez has written on contemporary digital art and specifically on the visual representation of the body. Several of her articles and book chapters focus on the cyborg body or the hybrid body as both symptoms of and metaphors for cultural transformation. The visual representation of new forms of corporeality often signal a utopian hope or distopic unease with new technologies and imaginary futures. 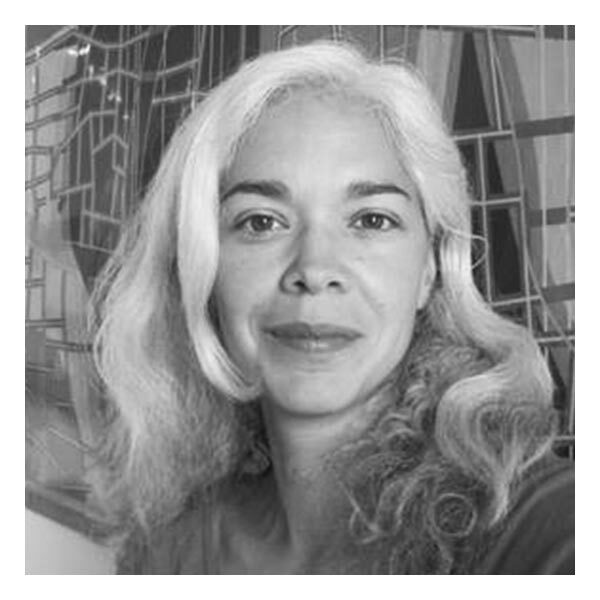 González is Associate Professor, History of Art and Visual Culture Contemporary Art, Race and Representation, at The University of California, Santa Cruz. The Face and Race in Digital Art and the Public Sphere, Saturday the 25th. How have digital artists since the 1990s tried to understand the role of visual representation in articulating relations of racial difference? How does an ethics of ‘the face’ play a role? What importance does ‘the face’ have in articulating notions of a public sphere on the internet? Jeuno JE Kim (SE/KOR) is a writer and an artist working with sound design, performance, video and text and has a background in theology, economics, music and radio. Jeuno JE Kim Born in South Korea she is based in Malmö where she co-headed the Critical Studies Program at the Malmö Art Academy. 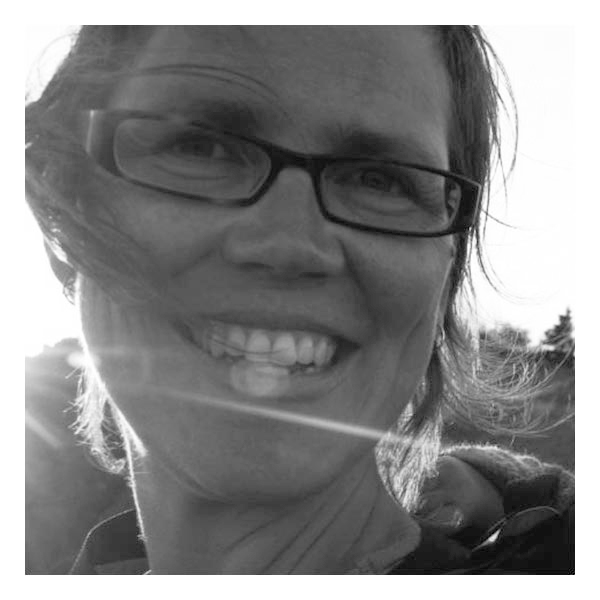 Kim has taught as visiting lecturer in universities in Denmark, Germany, Sweden and Norway. She has received her Bachelor of Arts from Oberlin College, completed her Masters in Theology from Harvard University, and Master of Fine Arts at the University of Illinois at Chicago. Since 2009 she has been working together with Ewa Einhorn on topics related to the construction of Norden, and more specifically the relations between politcal rhetoric, assumptions of national territory, and nations as brands in the Nordic context. Jeuno JE Kim is the panel moderator for Visions of the Now. ...is obsessed with language and the voice. ...loves the feeling of thought and the thought of feeling. ...wants to understand why sounds give us pleasure. The Voice is False, Sunday the 26th. Julie Martin (US) was born in Nashville, Tennessee, and graduated from Radcliffe College in philosophy and received a Masters degree in Russian Studies from Columbia University. In 1966, she worked as production assistant to Robert Whitman on a series of his theater performances culminating in the series 9 Evenings: Theatre & Engineering. She joined the staff of Experiments in Art and Technology (E.A.T.) 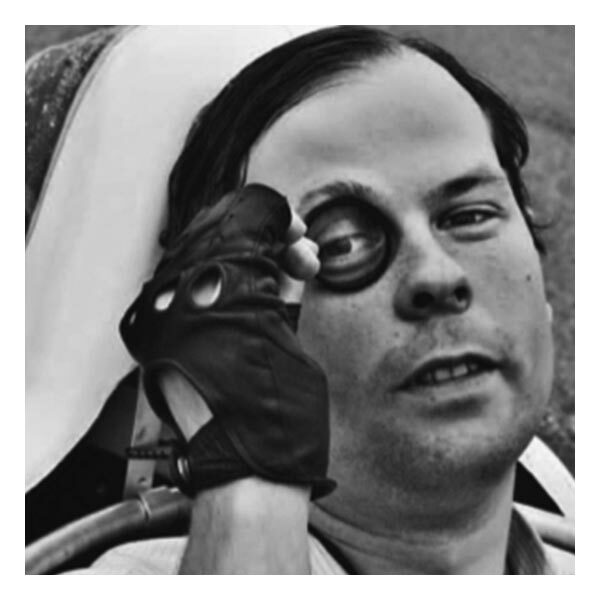 in 1967, and over the years worked closely with Billy Klüver on projects and activities for the organisation. She married Billy Klüver in 1983. Currently she is director of E.A.T. working as coordinating producer for performances by Robert Whitman, and is also editing a book on the art and technology writings of Billy Klüver. She lives in New Jersey. Lecture: 9 Evenings: Theatre & Engineering and the beginnings of E.A.T. on Friday the 24th. 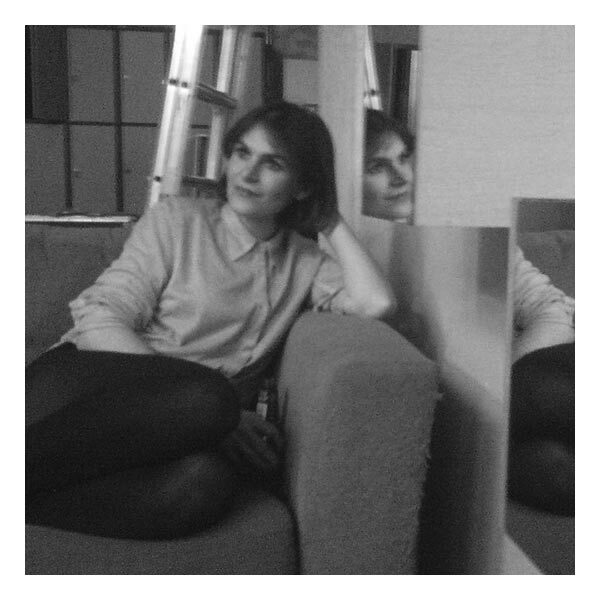 Julie Martin’s lecture will talk about the history of the Stockholm Festival for Art and Technology and how it is connected to the famous 9 Evenings: Theatre and Engineering, coordinated by the Swedish engineer Billy Klüver in 1966. Katarina Elvén (SE) has a background as a set designer and finished her MA in Photography 2004 at the University of Gothenburg. 2006 she took a postgraduate course in Art and Architecture at the Royal Academy in Stockholm. She works as an independent artist as well as in collaborations with filmmakers and architects. 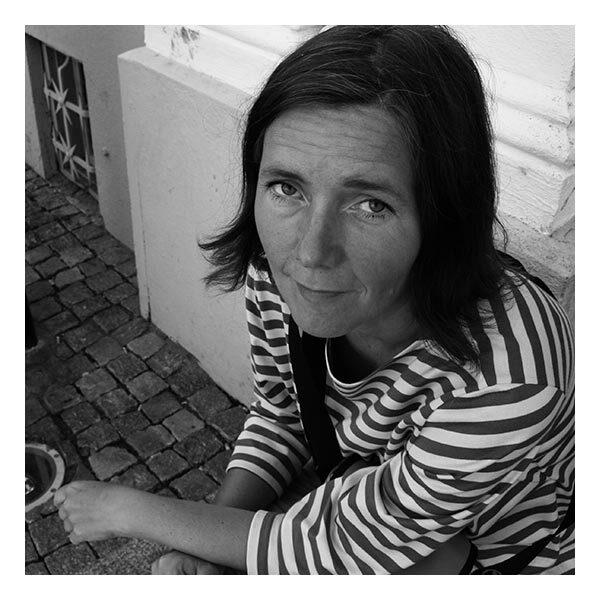 Since 2006 she has been a visiting lecturer at the School of Photography, University of Gothenburg, teaching courses on a regular basis. Her work attempts to tackle visual representations and formats. Interested in how pictures produce value and manufacture myths she often uses already existing images and texts presenting them in a new context. Performance: Stage for a Visionary Drama, Friday the 24th. For Visions of the Now Katarina Elvén brings to a focus directions for the stage from expressionist and futurist plays, in the new performance: Stage for Visionary Drama, Friday the 24th. Katja Aglert (SE) is an artist based in Stockholm and Berlin. Her artistic practice is multidisciplinary in nature and includes both individual and collaborative projects. Her projects are based in interdisciplinary research, often related to society, politics, gender, the environment, and history(ies). Aglert’s recent contexts for display of projects include WELD, Stockholm; National Museum of Denmark; Sami Center For Contemporary Art, Norway; and daadgalerie, Berlin, Germany. Besides her individual artistic practice Aglert is one of the initators and project managers of the artist run interdiciplinary text based project SQUID. 32013 Years of Aurora Evolution,	a mixed media installation, is shown continuously during the festival. Kristin Lucas (US) is an multidisciplinary artist. Her work investigates the uncanny overlaps of virtual and lived realities, and the physical and psychological effects of technologies on perception of time and space, behavior, and identity. Her video, installation, networked performance, intervention, augmented reality, and hybrid media works have been exhibited internationally and are represented by EAI and Postmasters in New York. Refresh Cold Read, Saturday the 25th. A live cold reading of the Refresh transcripts between a phone-in guest reader cast by Kristin Lucas and a volunteer from the festival audience. The Refresh transcripts document an exchange that took place between Lucas and a Judge in name change court in 2007, when Lucas became the most current version of herself when she succeeded in legally changing her name from Kristin Sue Lucas to Kristin Sue Lucas in a Superior Court of California courtroom. 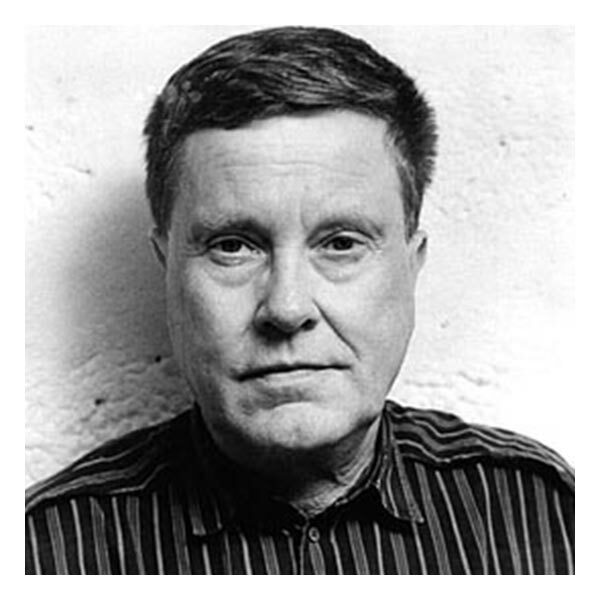 Lars-Gunnar Bodin (SE) is a composer of electroacoustic music, as well as a concrete poet and visual artist. 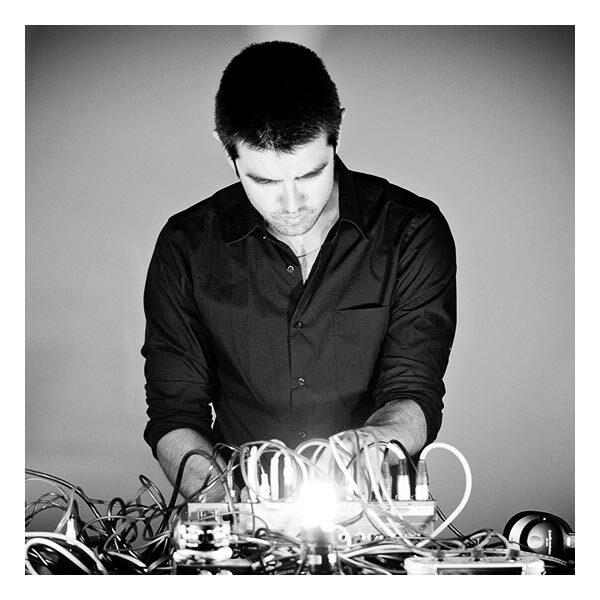 He has a particular interest in the aesthetics and theory of electroacoustic music. Bodin was chairman of Fylkingen from 1969 to 72 and head of EMS from 1979 to 1989. Art and Technology — a brief discussion of some aspects of Aesthetic and Art theoretical nature. Saturday the 25th. Laurel Ptak (US) is a New York City based curator whose work investigates social and political dimensions of technology and contemporary art. She is at-large Associate Curator at Tensta Konsthall and teaches in the Art, Media and Technology department at The New School. Most recently she is researching the history of Cyberfeminist art as a fellow at Eyebeam Center for Art and Technology. Presentation & discussion: Wages for Facebook, Saturday the 25th. They say it’s friendship. We say it’s unwaged work. With every like, chat, tag or poke our subjectivity turns them a profit. They call it sharing. We call it stealing. We’ve been bound by their terms of service far too long — it’s time for our terms. lucky dragons (US) is an ongoing collaboration between Los Angeles-based artists Sarah Rara and Luke Fischbeck. Active as a band since 2000, they are known for their participatory approach to making music, radically inclusive live shows, and playful, humanistic use of digital tools. Fischbeck and Rara have presented collaborative work in a wide variety of contexts, including the Whitney Museum of American Art, the Centre Georges Pompidou, Walker Art Center, ICA in London, The Kitchen in New York, among others. The name "lucky dragons" is borrowed from a fishing vessel that was caught in the fallout from h-bomb tests in the mid-1950's, an incident which sparked international outcry and gave birth to the worldwide anti-nuclear movement. Performs Actual Reality in 3 parts, Friday the 24th. Actual Reality is a multi-media work that develops over the course of several iterations and forms–a scored performance, an improvised response, a piece of software, text, audio recording, a video in progress — each version processing and resynthesizing previous Actual Realities. Magnus Larsson (UK) Magnus Larsson is a London-based Swedish architect who is co-founder of Ordinary Ltd, a consilient architecture practice that investigates how existing and not-yet-existing materials might be turned into radically appropriate structures for our future built environments. A graduate of the Architectural Association, Larsson’s most famous project to date is Dune, an attempt to turn a 5,000-km stretch of the Sahel into the world’s longest city by solidifying sand dunes into sandstone structures using the bacterium Bacillus pasteurii. His TED Talk about the scheme has been translated into at least 25 languages and viewed by hundreds of thousands of people. Larsson’s latest proposition — for 100m+ timber skyscrapers — was presented in a scientific context at the WCTE conference in New Zealand in 2012. His next publication is a chapter in Cities for Smart Environmental and Energy Futures, which will be published by Springer Verlag later this year. Lecture: Architecture for the Materiomic Age, Sunday the 26th. Making novel buildings from novel materials equals a reenginering of the medium of architecture itself — a design optimisation of an entire creative field. Architect Magnus Larsson investigates how the idea that the city is mankind’s greatest invention can be pushed to new levels, through the simple guiding principle of material intelligence. 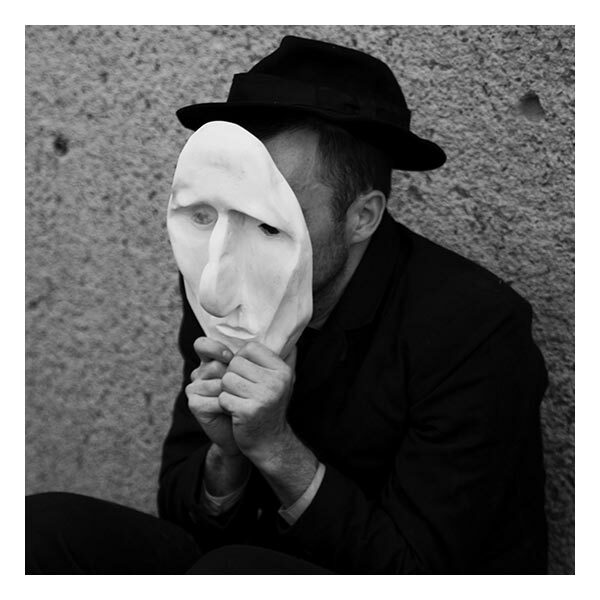 Mathew Dryhurst (US) is the Director of Programs at Gray Area Foundation for the Arts, a digital art and technology organization in San Francisco. Visions of the Now presents C.A.R. (Call and Response), a hack concept designed to identify & address real problems in the arts, especially created for the festival. The 2 day hack will be hosted at EMS studios and presented by Matthew Dryhurst and Holly Herndon, Sunday the 26th. Natalie Jeremijenko (US) is an Associate Professor of Visual Art at New York University, and director of the xDesign Environmental Health Clinic at NYU, where she helps prescribe creative health solutions for the environment that are carried out by enthusiastic volunteers. Bridging the technical and art worlds, her individual work has been exhibited in the MASS MoCA, the Whitney Museum, and the Cooper-Hewitt Museum, and she is part of an artists’ collective called the Bureau of Inverse Technology. 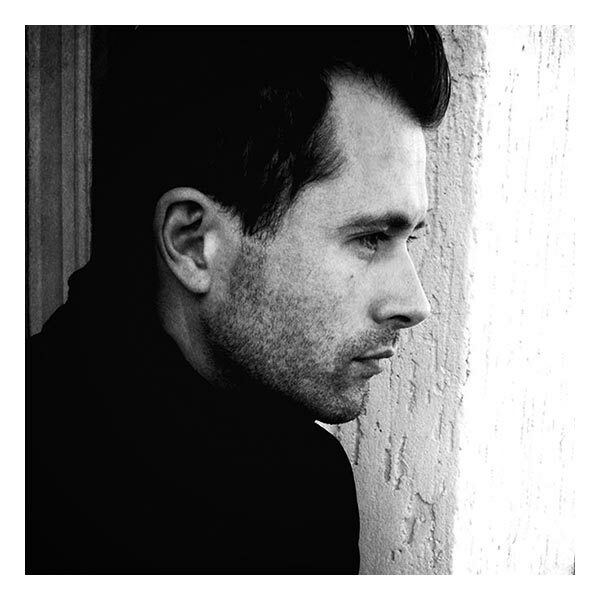 Jeremijenko was named one of the 40 most influential designers by I.D. Magazine and one of the Top 100 Young Innovators by MIT Technology Review. Jeremijenko’s background includes studies in biochemistry, physics, neuroscience and precision engineering, and is interested in the opportunities presented by new technologies for non-violent social change. Technique of Living in the Future Society on Sunday the 26th. Phillip Stearns (US) is a Brooklyn based artist and musician, who uses electronics to create intensely experiential works of light and sound. Deconstruction, dissection, and reconfiguration are methods he commonly employs in his hands-on approach to creating works using electronics. Through the application of extended techniques for electronic media, the circuit is explored as a means for sculpting electricity. In his work with technology, the machine is understood as the living manifestation of human intentions where the development and application of our technologies, machines and tools reveals our desires and dreams — both conscious and unconscious. Video with sound: Lament IV: Sand and Silt. The Lament series is a collection of video graphics work generated using only simple sine tones as both source and control signals. The wave form signifies a pure cyclical process, one that is intimately linked to the revolution of planets, their orbit about the sun, the changing of tides, and the topology of water in motion. Produced at the Experimental Television Center in Owego, NY. 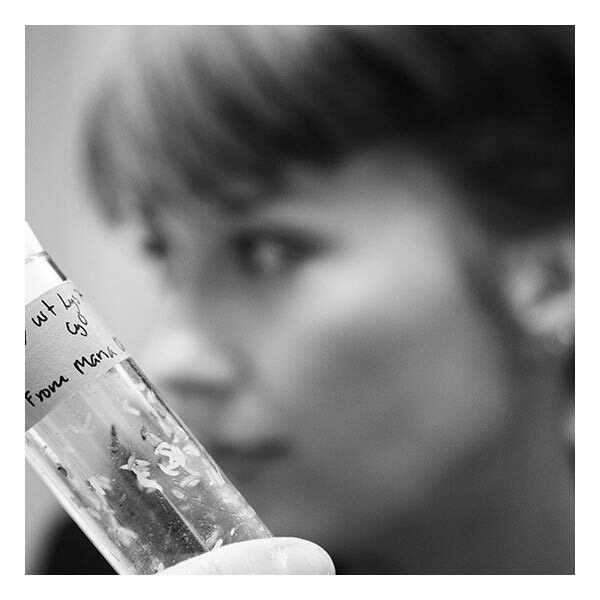 Sanne Krogh Groth (DK) holds a Ph.D. from Musicology, University of Copenhagen (2010). Her dissertation is a historical study on the Swedish electro acoustic music studio EMS during the 1960s and 1970s. 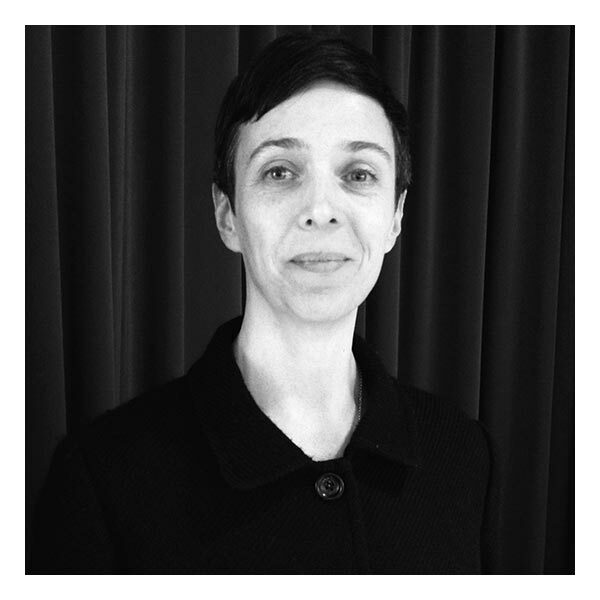 Groth is MA in Musicology and Theatre studies (2003) with the thesis Sound Art — an art form in pictures and sound. 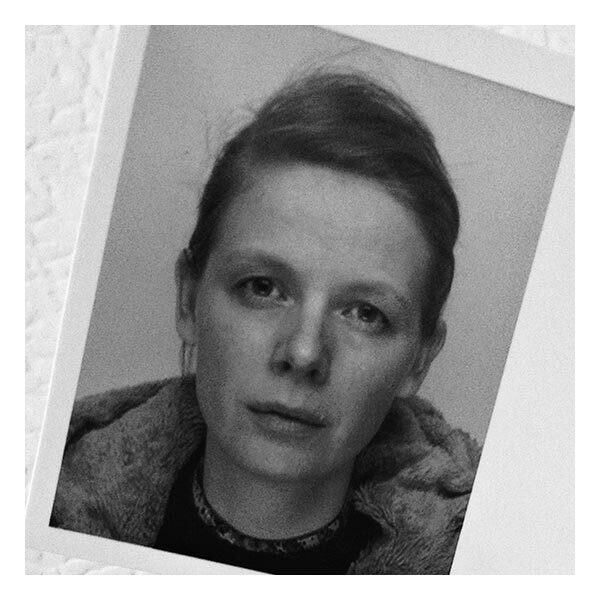 Groth is Assistant Professor at Performance Design, Roskilde University and is chief-editor of Seismograf/DMT — an online magazine concerning Sound art and Contemporary music. Visions of the Now — and Then, Sunday the 26th. The talk will present some of the central issues in relation to the 1966 festival and discuss how they are of relevance to today's discussions on art and technology, utopia and media. Sten Ternström (SE) is the head of the Sound and Music Computing research group at KTH Royal Institute of Technology in Stockholm, where the sounds of instruments, voices and objects are scientifically investigated by an international team of researchers. The group is in the department of Speech, Music and Hearing that was founded by Gunnar Fant in 1951. 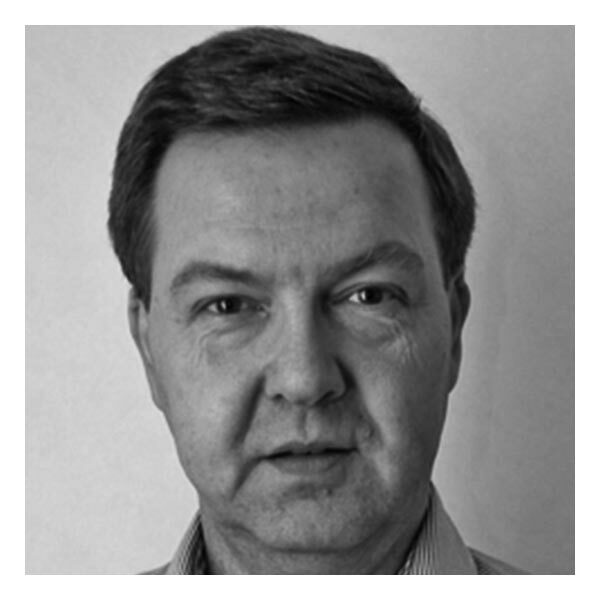 Ternström received his MScEE in 1982, PhD in 1989 and succeeded Johan Sundberg as professor in 2003. His research centers on technical aspects of voice acoustics, especially of singing and of choirs. He also likes to stay current with acoustics and sound processing for music and audio, and teaches in several courses on those topics. Vox ex Machina, Sunday the 26th. Voice simulation was a coveted goal for the pioneering efforts in computer music composition, but the physics of the voice are very complex indeed. The many necessary simplifications tended to make synthetic voices sound, well, synthetic. Only now, more than fifty years on, do we dare to consider complete physics-based computer models of the voice, as in the EU-funded project Eunison presented here. The project will contribute to a deeper scientific understanding of the voice, and hopefully also to new vehicles for musical creativity. Tyler Coburn (US) is an artist and writer based in New York. Coburn will present I’m that angel, a book and a performance, that explores the conditions of how we work on and against the computer, narrated from the perspective of a ‘content farmer’: an emergent type of online journalist contracted to generate articles based on words peaking in Google Trends. The performance involves readings and facility tours at data centers worldwide. If the book sustains a material limit that belies the diffuse shape of the cloud, then its readings attempt similar concretions by having reader and audience occupy the sites that compose the physical form of the Internet. Tyler Coburn will be holding an off-site performance at Bahnhof — Pionen data center on the evening of Monday, May 27th. Seating is extremely limited, so please RSVP by Wednesday, May 22nd to imthatangel@visionsofthenow.com. I’m That Angel,on Sunday the 26th. 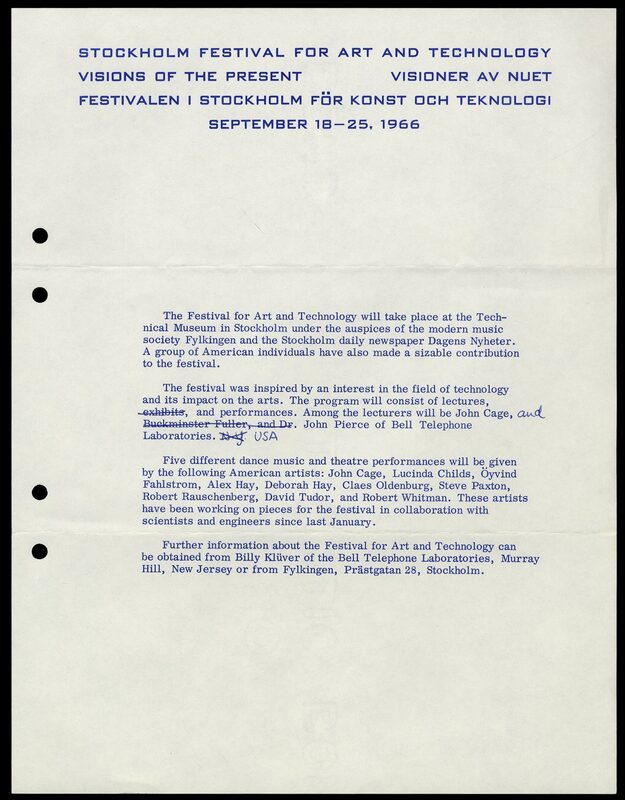 The 1966 festival Visioner av Nuet was initiated by Knut Wiggen, Chairman of Fylkingen, and was originally called ‘Stockholm Festival for Art and Technology’. Knut Wiggen had involved the Swedish engineer Billy Klüver, who worked at Bell Telephone Laboratories in New Jersey, in the project of exploring how artists could use the ‘new technology’, and what would happen if artists and engineers collaborated. Billy Klüver coordinated new performances by the New York artists Robert Rauschenberg, John Cage, David Tudor, Yvonne Rainer, Deborah Hay, Robert Whitman, Steve Paxton, Alex Hay, Lucinda Childs and Öyvind Fahlström, who collaborated with a group of engineers from Bell Laboratories. The group worked together for months, preparing the performances for what in New York was referred to as ‘The Stockholm Thing’. But after conflicts between Fylkingen and the Klüver group (mostly due to financial and some technical issues, but arguably also because of unresolvable differences in mindset) the American contribution was cancelled last minute, leading the Americans to organize their own event — what became the now-famous 9 Evenings of Theatre and Engineering, held at the 69th Regiment Armory in New York in October 1966. 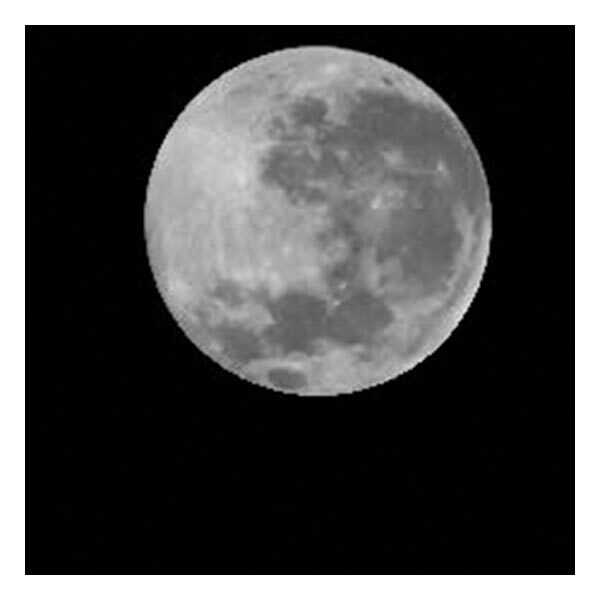 In Sweden the festival took place as planned from 19–25th of September 1966, called Visioner av Nuet. Even though it had lost the majority of its artistic acts, making it more of a congress than a performance event, it included prominent speakers such as Iannis Xennakis, Yona Friedman, Sven Fagerberg and Kostas Axelos, and also showed art and music works by artists like Alvin Lucier, Karl-Birger Blomdahl, Ralph Lundsten, Åke Karlung and Nam June Paik. 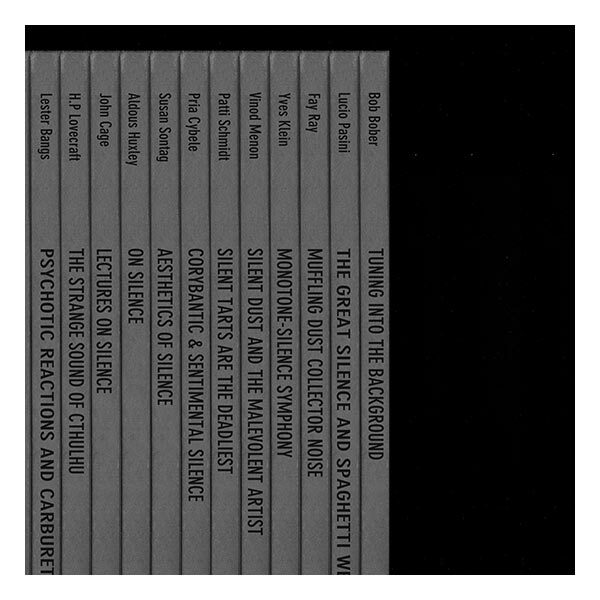 Publication A publication will be released in conjunction with Visions of the Now, including new text contributions by Rosi Braidotti, Laurel Ptak, Goodiepal, Julie Martin, Sanne Krogh Groth, Anna Lundh, Brian Droitcour and Lars-Gunnar Bodin and edited by writer and critic Julie Cirelli. Extending the themes of the festival, this publication is a catching place for ideas and propositions better suited to print than a lecture or performance. It is also an archive of material that documents both our now and the now of 1966, including original documents pertaining to the 1966 festival, including never-before published correspondence with John Cage and Buckminster Fuller and texts by Alvin Lucier and Nam June Paik. The publication is included in the Festival Pass and will be released on Friday the 24th at the festival. Read more about this history in Sanne Krogh Groth’s text from the publication. Admission to all 3 days and evenings, May 24–26 2013. Included in the price is also the Visions of the Now special publication. 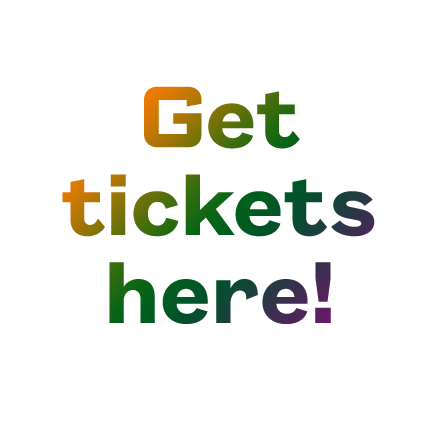 A limited number of tickets are released at the door each day. Visions of the Now is initiated and organized by artist Anna Lundh. With support from The Swedish Arts Grants Committee, City of Stockholm, Statens Musikverk and Fylkingen.